Indeed, science was turned on its head after a discovery in 1772 near Vilui, Siberia, of an intact frozen woolly rhinoceros, which was followed by the more famous discovery of a frozen mammoth in 1787. You may be shocked, but these discoveries of frozen animals with grass still in their stomachs set in motion these two schools of thought since the evidence implied you could be eating lunch and suddenly find yourself frozen, only to be discovered by posterity. The discovery of the woolly rhinoceros in 1772, and then frozen mammoths, sparked the imagination that things were not linear after all. These major discoveries truly contributed to the “Age of Enlightenment” where there was a burst of knowledge erupting in every field of inquisition. 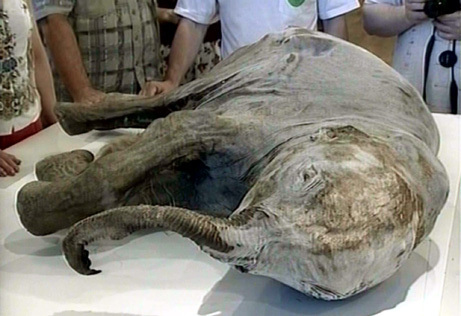 Such finds of frozen mammoths in Siberia continue to this day. This has challenged theories on both sides of this debate to explain such catastrophic events. These frozen animals in Siberia suggest strange events are possible even in climates that are not that dissimilar from the casts of dead victims who were buried alive after the volcanic eruption of 79 AD at Pompeii in ancient Roman Italy. Animals can be grazing and then suddenly freeze abruptly. That climate change was long before man invented the combustion engine. In 1832, Professor A. Bernhardi argued that the North Polar ice cap had extended into the plains of Germany. 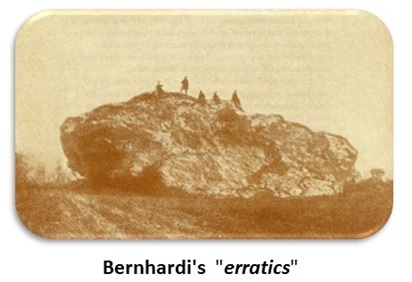 To support this theory, he pointed to the existence of huge boulders that have become known as “erratics,” which he suggested were pushed by the advancing ice. This was a shocking theory for it was certainly a nonlinear view of natural history. Bernhardi was thinking out of the box. However, in natural science people listen and review theories unlike in social science where theories are ignored if they challenge what people want to believe. In 1834, Johann von Charpentier (1786-1855) argued that there were deep grooves cut into the Alpine rock concluding, as did Karl Schimper, that they were caused by an advancing Ice Age. This body of knowledge has been completely ignored by the global warming/climate change religious cult. They know nothing about nature or cycles and they are completely ignorant of history or even that it was the discovery of these ancient creatures who froze with food in their mouths. They cannot explain these events nor the vast amount of knowledge written by people who actually did research instead of trying to cloak an agenda in pretend science. Glaciologists have their own word, jökulhlaup(from Icelandic), to describe the spectacular outbursts when water builds up behind a glacier and then breaks loose. An example was the 1922 jökulhlaup in Iceland. Some seven cubic kilometers of water, melted by a volcano under a glacier, had rushed out in a few days. Still grander, almost unimaginably events, were floods that had swept across Washington state toward the end of the last ice age when a vast lake dammed behind a glacier broke loose. Catastrophic geologic events are not generally part of the uniformitarian geologist’s thinking. Rather, the normal view tends to be linear including events that are local or regional in size. One example of a regional event would be the 15,000 square miles of the Channeled Scablands in eastern Washington. Initially, this spectacular erosion was thought to be the product of slow gradual processes. In 1923, J. Harlen Bretz presented a paper to the Geological Society of America suggesting the Scablands were eroded catastrophically. During the 1940s, after decades of arguing, geologists admitted that high ridges in the Scablands were the equivalent of the little ripples one sees in mud on a streambed, magnified ten thousand times. Finally, by the 1950s, glaciologists were accustomed to thinking about catastrophic regional floods. 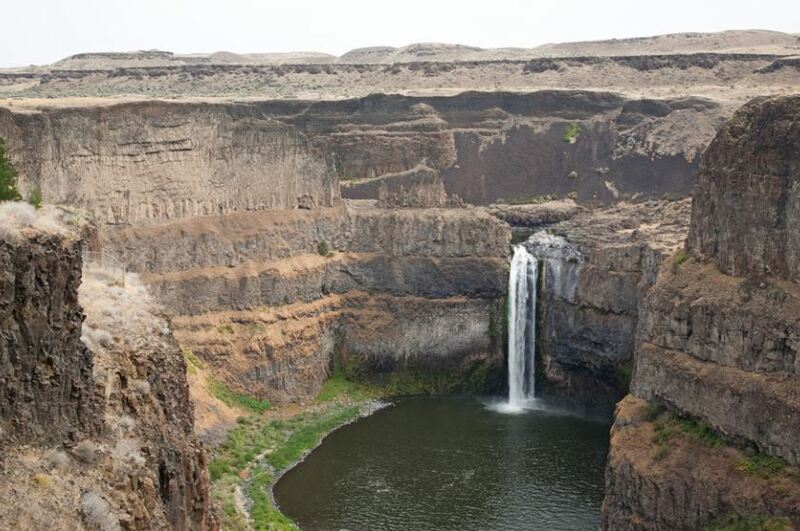 The Scablands are now accepted to have been catastrophically eroded by the “Spokane Flood.” This Spokane flood was the result of the breaching of an ice dam which had created glacial Lake Missoula. Now the United States Geological Survey estimates the flood released 500 cubic miles of water, which drained in as little as 48 hours. That rush of water gouged out millions of tons of solid rock. When Mount St. Helens erupted in 1980, this too produced a catastrophic process whereby two hundred million cubic yards of material was deposited by volcanic flows at the base of the mountain in just a matter of hours. Then, less than two years later, there was another minor eruption, but this resulted in creating a mudflow, which carved channels through the recently deposited material. These channels, which are 1/40th the size of the Grand Canyon, exposed flat segments between the catastrophically deposited layers. This is what we see between the layers exposed in the walls of the Grand Canyon. What is clear, is that these events were relatively minor compared to a global flood. For example, the eruption of Mount St. Helens contained only 0.27 cubic miles of material compared to other eruptions, which have been as much as 950 cubic miles. That is over 2,000 times the size of Mount St. Helens! With respect to the Grand Canyon, the specific geologic processes and timing of the formation of the Grand Canyon have always sparked lively debates by geologists. The general scientific consensus, updated at a 2010 conference, maintains that the Colorado River carved the Grand Canyon beginning 5 million to 6 million years ago. This general thinking is still linear and by no means catastrophic. The Grand Canyon is believed to have been gradually eroded. However, there is an example cyclical behavior in nature which demonstrates that water can very rapidly erode even solid rock. An example of this took place in the Grand Canyon region back on June 28th, 1983. There emerged an overflow of Lake Powell which required the use of the Glen Canyon Dam’s 40-foot diameter spillway tunnels for the first time. As the volume of water increased, the entire dam started to vibrate and large boulders spewed from one of the spillways. The spillway was immediately shut down and an inspection revealed catastrophic erosion had cut through the three-foot-thick reinforced concrete walls and eroded a hole 40 feet wide, 32 feet deep, and 150 feet long in the sandstone beneath the dam. Nobody thought such catastrophic erosion that quick was even possible. 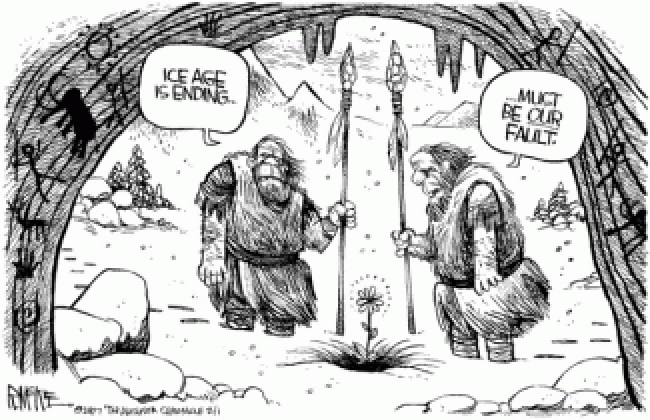 Some have speculated that the end of the Ice Age resulted in a flood of water which had been contained by an ice dam. Like that of the Scablands, it is possible that a sudden catastrophic release of water originally carved the Grand Canyon. It is clear that both the formation of the Scablands and the evidence of how Mount St Helens unfolded, may be support for the catastrophic formation of events rather than nice, slow, and linear formations. Then there is the Biblical Account of the Great Flood and Noah. Noah is also considered to be a Prophet of Islam. Darren Aronofsky’s film Noah was based on the biblical story of Genesis. Some Christians were angry because the film strayed from biblical Scripture. The Muslim-majority countries banned the film Noah from screening in theaters because Noah was a prophet of God in the Koran. They considered it to be blasphemous to make a film about a prophet. Many countries banned the film entirely. The story of Noah predates the Bible. There exists the legend of the Great Flood rooted in the ancient civilizations of Mesopotamia. The Sumerian Epic of Gilgamesh dates back nearly 5,000 years which is believed to be perhaps the oldest written tale on Earth. Here too, we find an account of the great sage Utnapishtim, who is warned of an imminent flood to be unleashed by wrathful gods. He builds a vast circular-shaped boat, reinforced with tar and pitch, and carries his relatives, grains along with animals. After enduring days of storms, Utnapishtim, like Noah in Genesis, releases a bird in search of dry land. Since there is evidence that there were survivors in different parts of the world, it is merely logical that there should be more than just one. Archaeologists generally agree that there was a historical deluge between 5,000 and 7,000 years ago which hit lands ranging from the Black Sea to what many call the cradle of civilization, which was the floodplain between the Tigris and Euphrates rivers. The translation of ancient cuneiform tablets in the 19th century confirmed the Mesopotamian Great Flood myth as an antecedent of the Noah story in the Bible. The problem that existed was the question of just how “great” was the Great Flood? Was it regional or worldwide? The stories of the Great Flood in Western Culture clearly date back before the Bible. 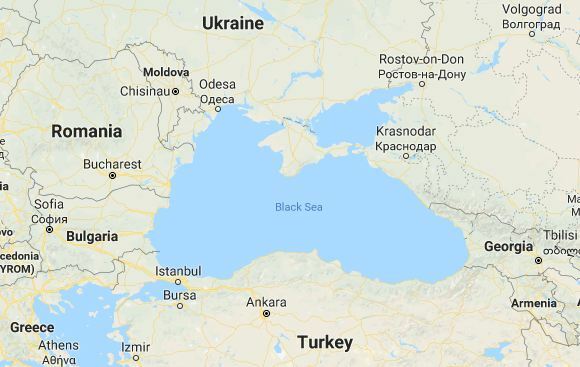 The region implicated has long been considered to be the Black Sea. It has been suggested that the water broke through the land by Istanbul and flooded a fertile valley on the other side much as we just looked at in the Scablands. Robert Ballard, one of the world’s best-known underwater archaeologists, who found the Titanic, set out to test that theory to search for an underwater civilization. He discovered that some four hundred feet below the surface, there was an ancient shoreline, proving that there was a catastrophic event did happen in the Black Sea. By carbon dating shells found along the underwater shoreline, Ballard dated this catastrophic event to around 5,000 BC. This may match around the time when Noah’s flood could have occurred. Given the fact that for the entire Earth to be submerged for 40 days and 40 nights is impossible for that much water to simply vanish, we are probably looking at a Great Flood that at the very least was regional. However, there are tales of the Great Floodwhich spring from many other sources. Various ancient cultures have their own legends of a Great Flood and salvation. According to Vedic lore, a fish tells the mythic Indian king Manu of a Great Flood that will wipe out humanity. In turn, Manu also builds a ship to withstand the epic rains and is later led to a mountaintop by the same fish. We also find an Aztec story that tells of a devout couple hiding in the hollow of a vast tree with two ears of corn as divine storms drown the wicked of the land. Creation myths from Egypt to Scandinavia also involve tidal floods of all sorts of substances purging and remaking the earth. The fact that we have Great Flood stories from India is not really a surprise since there was contact between the Middle East and India throughout recorded history. However, the Aztec story lacks the ship, but it still contains punishing the wicked and here there was certainly no direct contact, although there is evidence of cocaine use in Egypt implying there was some trade route probably through island hopping in the Pacific to the shores of India and off to Egypt. Obviously, we cannot rule out that this story of the Great Flood even made it to South America. Then again, there is the story of Atlantis – the island that sunk beath the sea. The Atlantic Ocean covers approximately one-fifth of Earth’s surface and second in size only to the Pacific Ocean. The ocean’s name, derived from Greek mythology, means the “Sea of Atlas.” The origin of names is often very interesting clues as well. For example. 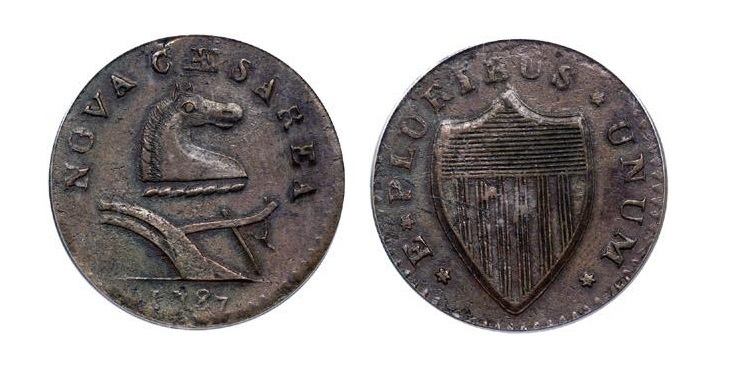 New Jersey is the English Translation of Latin Nova Caesarea which appeared even on the colonial coins of the 18th century. Hence, the state of New Jersey is named after the Island of Jersey which in turn was named in the honor of Julius Caesar. So we actually have an American state named after the man who changed the world on par with Alexander the Great, for whom Alexandria of Virginia is named after with the location of the famous cemetery for veterans, where John F. Kennedy is buried. So here the Atlantic Ocean is named after Atlas and the story of Atlantis. The original story of Atlantis comes to us from two Socratic dialogues called Timaeus and Critias, both written about 360 BC by the Greek philosopher Plato. According to the dialogues, Socrates asked three men to meet him: Timaeus of Locri, Hermocrates of Syracuse, and Critias of Athens. Socrates asked the men to tell him stories about how ancient Athens interacted with other states. Critias was the first to tell the story. Critias explained how his grandfather had met with the Athenian lawgiver Solon, who had been to Egypt where priests told the Egyptian story about Atlantis. According to the Egyptians, Solon was told that there was a mighty power based on an island in the Atlantic Ocean. This empire was called Atlantis and it ruled over several other islands and parts of the continents of Africa and Europe. Atlantis was arranged in concentric rings of alternating water and land. The soil was rich and the engineers were technically advanced. The architecture was said to be extravagant with baths, harbor installations, and barracks. The central plain outside the city was constructed with canals and an elaborate irrigation system. Atlantis was ruled by kings but also had a civil administration. Its military was well organized. Their religious rituals were similar to that of Athens with bull-baiting, sacrifice, and prayer. Plato told us about the metals found in Atlantis, namely gold, silver, copper, tin and the mysterious Orichalcum. Plato said that the city walls were plated with Orichalcum (Brass). This was a rare alloy metal back then which was found both in Crete as well as in the Andes, in South America. 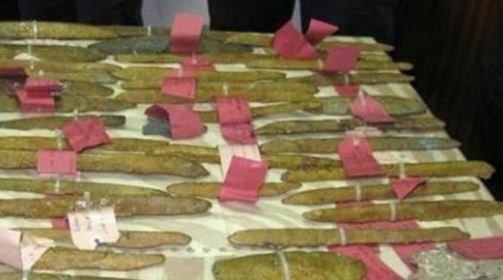 An ancient shipwreck was discovered off the coast of Sicily in 2015 which contained 39 ingots of Orichalcum. Many claimed this proved the story of Atlantis. Orichalcum was believed to have been a gold/copper alloy that was cheaper than gold, but twice the value of copper. Of course, Orichalcum was really a copper-tin or copper-zinc brass. We find in Virgil’s Aeneid, the breastplate of Turnus is described as “stiff with gold and white orichalc”. The monetary reform of Augustus in 23BC reintroduced bronze coinage which had vanished after 84BC. Here we see the introduction of Orichalcum for the Roman sesterius and the dupondius. The Roman As was struck in near pure copper. 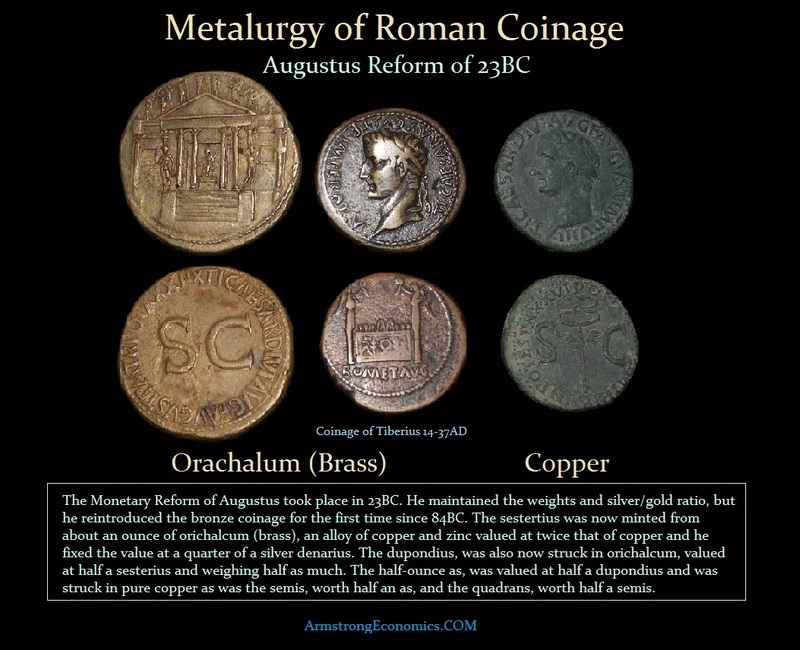 Therefore, about 300 years after Plato, we do see Orichalcum being introduced as part of the monetary system of Rome. It is clear that Orichalcum was rare at the time Plato wrote this. Consequently, this is similar to the stories of America that there was so much gold, they paved the streets with it. As the story is told, Atlantis was located in the Atlantic Ocean. There have been bronze-age anchors discovered at the Gates of Hercules (Straights of Gibralter) and many people proclaimed this proved Atlantis was real. However, what these proponents fail to take into account is the Minoans. The Minoans were perhaps the first International Economy. They traded far and wide even with Britain seeking tin to make bronze – henceBronze Age. Their civilization was of the Bronze Age rising civilization that arose on the island of Crete and flourished from approximately the 27th century BC to the 15th century BC – nearly 12,000 years. Their trading range and colonization extended to Spain, Egypt, Israel (Canaan), Syria (Levantine), Greece, Rhodes, and of course to Turkey (Anatolia). Many other cultures referred to them as the people from the islands in the middle of the sea. However, the Minoans had no mineral deposits. They lacked gold as well as silver or even the ability to produce large mining of copper. They appear to have copper mines in Anatolia (Turkey) in colonized cities. What has survived are examples of copper ingots that served as MONEY in trade. Keep in mind that gold at this point was rare, too rare to truly serve as MONEY. It is found largely as jewelry in tombs of royal dignitaries. The Bronze Age emerged at different times globally appearing in Greece and China around 3,000BC but it came late to Britain reaching there about 1900BC. It is known that copper emerged as a valuable tool in Anatolia (Turkey) as early as 6,500BC, where it began to replace stone in the creation of tools. It was the development of casting copper that also appears to aid the urbanization of man in Mesopotamia. By 3,000BC, copper is in wide use throughout the Middle East and starts to move up into Europe. Copper in its pure stage appears first, and tin is eventually added creating actual bronze where a bronze sword would break a copper sword. It was this addition of tin that really propelled the transition of copper to bronze and the tin was coming from England where vast deposits existed at Cornwall. We know that the Minoans traveled into the Atlantic for trade. Anchors are not conclusive evidence of Atlantis. As the legend unfolds, Atlantis waged an unprovoked imperialistic war on the remainder of Asia and Europe. When Atlantis attacked, Athens showed its excellence as the leader of the Greeks, the much smaller city-state the only power to stand against Atlantis. Alone, Athens triumphed over the invading Atlantean forces, defeating the enemy, preventing the free from being enslaved, and freeing those who had been enslaved. This part may certainly be embellished and remains doubtful at best. However, following this battle, there were violent earthquakes and floods, and Atlantis sank into the sea, and all the Athenian warriors were swallowed up by the earth. This appears to be almost certainly a fiction based on some ancient political realities. Still, the explosive disappearance of an island some have argued is a reference to the eruption of MinoanSantorini. The story of Atlantis does closely correlate with Plato’s notions of The Republic examining the deteriorating cycle of life in a state. There have been theories that Atlantiswas the Azores, and still, others argue it was actually South America. That would explain to some extent the cocaine mummies in Egypt. Yet despite all these theories, usually, when there is an ancient story, despite embellishment, there is often a grain of truth hidden deep within. In this case, Atlantis may not have completely submerged, but it could have partially submerged from an earthquake at least where some people survived. Survivors could have made to either the Americas or to Africa/Europe. What is clear, is that a sudden event could have sent a tsunami into the Mediterranean which then broke the land mass at Istanbul and flooded the valley below transforming this region into the Black Sea becoming the story of Noah. We also have evidence which has surfaced that the Earth was struck by a comet around 12,800 years ago. Scientific American has published that sediments from six sites across North America—Murray Springs, Ariz.; Bull Creek, Okla.; Gainey, Mich.; Topper, S.C.; Lake Hind, Manitoba; and Chobot, Alberta, have yielded tiny diamonds, which only occur in sediment exposed to extreme temperatures and pressures. The evidence surfacing implies that the Earth moved into an Ice Age killing off large mammals and setting the course for Global Cooling for the next 1300 years. 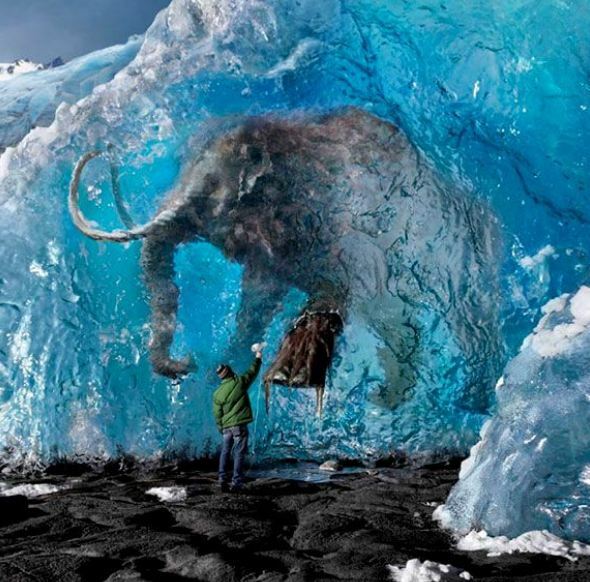 This may indeed explain that catastrophic freezing of Wooly Mammoths in Siberia. Such an event could have also been responsible for the legend of Atlantis where the survivors migrated taking their stories with them. There is also evidence surfacing from stone carvings at one of the oldest sites recorded located in Anatolia (Turkey). Using a computer programme to show where the constellations would have appeared above Turkey thousands of years ago, researchers were able to pinpoint the comet strike to 10,950BC, the exact time the Younger Dryas,which was was a return to glacial conditions and Global Cooling which temporarily reversed the gradual climatic warming after the Last Glacial Maximum that began to recede around 20,000 BC, utilizing ice core data from Greenland. Now, there is a very big asteroid which passed by the Earth on September 16th, 2013. What is most disturbing is the fact that its cycle is 19 years so it will return in 2032. Astronomers have not been able to swear it will not hit the Earth on the next pass in 2032. It was discovered by Ukrainian astronomers with just 10 days to go back in 2013. The 2013 pass was only a distance of 4.2 million miles (6.7 million kilometers). If anything alters its orbit, then it will get closer and closer. It just so happens to line up on a cyclical basis that suggests we should begin to look at how to deflect asteroids and soon. It definitely appears that catastrophic cooling may also be linked to the Earth being struck by a meteor, asteroids, or a comet. We are clearly headed into a period of Global Cooling and this will get worse as we head into 2032. The question becomes: Is our model also reflecting that it is once again time for an Earth change caused by an asteroid encounter? Such events are not DOOMSDAY and the end of the world. They do seem to be regional. 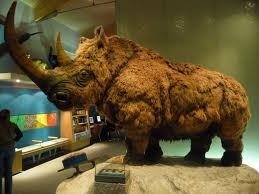 However, a comet striking in North America would have altered the comet freezing animals in Siberia. If there is a tiny element of truth in the story of Atlantis, the one thing it certainly proves is clear – there are ALWAYS survivors. 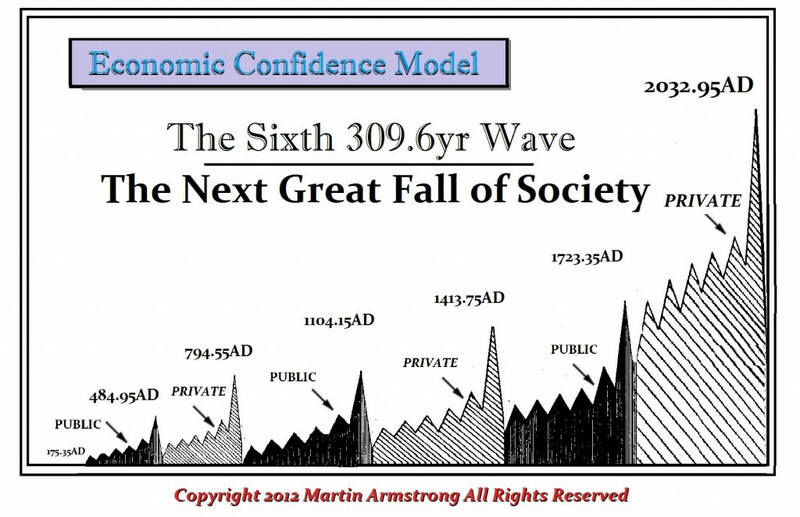 Based upon a review of the history of civilization as well as climate, what resonates profoundly is that events follow the cyclical model of catastrophic occurrences rather than the linear steady slow progression of evolution.